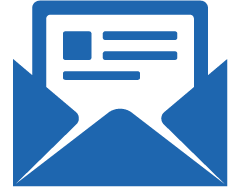 Complete contact information—including Website URL, Facebook and Twitter handles, credit card affiliations, industry affiliations, and so much more. Customize Estimates, RO's, and Invoices - Add your logo, slogan, online information, and more. Make Unique Tech Worksheets - Impress customers by customizing your technician worksheet with history. Create Multi-Point Inspections - Show what was inspected, what recommendations you’re making and when service should be performed. Build Custom Reports - Build custom reports to see exactly how your shop performs under specific criteria, or categorize customer information for marketing purposes. Register Tires - Register your customers with dozens of tire brands, so the manufacturer will be able to notify them promptly in the unlikely event of a recall. Move Vehicle History - If a customer comes in with a vehicle that was previously owned by another customer, easily transfer the maintenance history from one to the other. Shops are built mostly of cinder block and metal framing. This architecture can limit the range of your Wi-Fi connection and create weak signal strength in the middle of an open space. When outfitting your shop with Wi-Fi, the primary high performance wireless router should be centrally located in the building. Once the Wi-Fi is available, the signal strength should be tested at all areas in which Report Pro will be utilized. If necessary, add wired wireless access points to strategic areas of your shop that will provide strong signal strength where needed. The SSID and Security Key for each access point should match that of your primary wireless device. This allows for the devices to transition seamlessly while moving around your shop. Your Local Area Network (LAN) must be on the same network. This is achieved by having only one device on your network serve DHCP and all devices that need to communicate with each other must receive their DHCP from that device and have permission to communicate with each other across the network. "Working with Mike & Tom for some time now, have not heard words like: next release, under development, next 1/4... or anything similar. They don't even wait for a 'release' they push the message within the software that there is an update available. I smile, accept the update and enjoy added functionality the shop management company can't touch." "Great product and the best customer support. I can’t say enough about Bolt On. The add-on software Pro Pack is a major improvement to the Mitchell 1 Manager software. It simplifies some of the common jobs much easier. They listen to customer suggestions and comments that we make and use them to make the product better. Dashboard Pro, the next module, is going to be great." “Bolt On Technology is creating a new segment in the management software market. They're working with existing shop management software and adding ‘plug-ins’ and new and improved features and reporting, with more to come. We love the oil sticker printer function and the reports will also give many new advantages. Bolt On is creating products that will improve productivity and communication both." "We've been using Bolt On's products since they started out with PA state inspection software. I like that Bolt On is pushing the edge with integration with today's smarter electronic devices. I have to dig into these features more deeply, but can see that they provide a competitive advantage when dealing with today's more tech-savvy customers." "We have been using the lube sticker for almost a year. When the new report software was released it took our invoicing to a whole new level. Our clients love the look and layout. The additional reports are great and allow an even deeper insight into how our shop is running and where we can improve."